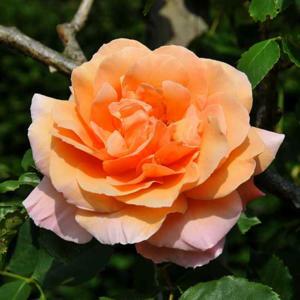 Double, fragrant, warm apricot-orange flowers borne on long stems, repeating throughout summer. Good but sparse foliage. Fertile, moist, well drained soil, in sun or part shade. Raised by McGredy, Northern Ireland, 1964.